Wiedeking, pictured, is scheduled to stand trial starting July 31. BERLIN (Bloomberg) -- Former Porsche SE CEO Wendelin Wiedeking and ex-Chief Financial Officer Holger Haerter face more charges over the use of a controversial options strategy in Porsche SE's doomed attempt to take over Volkswagen Group in 2008. The pair received a second set of charges from Stuttgart prosecutors just weeks before they are scheduled to stand trial in July, according to a joint statement by their lawyers, Hanns Feigen and Anne Wehnert. The lawyers said prosecutors had allowed themselves to be swayed by hedge funds suing the company. The new charges concern a press release from October 2008 in which Porsche said it decided to buy its then-rival VW. The two men were initially charged in 2012 with market manipulation related to the content of other press releases in early 2008 denying the takeover plan. "For years, prosecutors saw no reasons to take action because of the October release," Feigen and Wehnert said. "The cause of this irritating swing of opinion is an intervention by hedge funds for whose goals the Stuttgart Prosecution Office now allows itself to be exploited." Wiedeking and Haerter are scheduled to stand trial starting July 31. The case is part of a wave of investigations and lawsuits Porsche faced since disclosing in October 2008 that it had access to 74.1 percent of Volkswagen, partly through options and was seeking a takeover. Investors have sued Porsche over the issue seeking a total of more than 5 billion euros (5.7 billion). 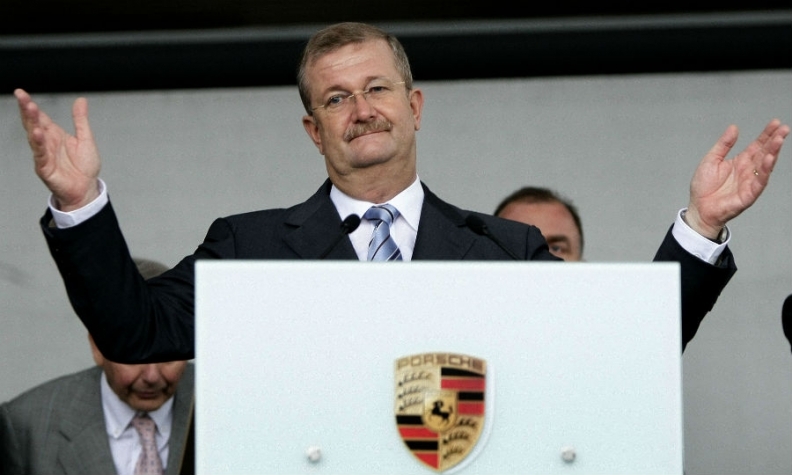 Porsche hasn't received the indictment yet, spokesman Albrecht Bamler said. The company already indicated in its latest reports that prosecutors are seeking to make Porsche a party in the new case, he said. If the executives are ordered to stand trial over the new charges and are eventually convicted, the court could seize Porsche's profits from the alleged wrongdoing. When Volkswagen's stock sank in October 2008, Porsche came under financial pressure because of the options it held, Claudia Krauth, spokeswoman for Stuttgart prosecutors, said in a separate statement on Monday. Wiedeking and Haerter manipulated the VW share price with the Oct. 26 release, as it made market participants think there was only a free float of 6 percent, according to Krauth. She said the announcement caused Volkswagen's stock to jump as investors raced to buy shares. The release was misleading because Porsche didn't disclose at the time that it would no longer have been able to finance the strategy had the price dropped further, Krauth said. This line of argument echoes what Elliott International, Perry Partners and two other funds argue in a related civil suit pending in a Hanover court. A German spokesman for the funds declined to immediately comment.